A few years can feel like a lifetime in top-flight football. It wasn't that long ago that Stoke were parking the bus and playing an unusual form of football, where as West Brom were playing in a promising way under future England manager Roy Hodgson. Subsequent to that era, both clubs have seen changes in personnel with Hughes and Pulis taking interesting journeys along the way; the former starting a quiet "Stok-a-lona" revolution at the Brittania and the latter fighting fires in his own defensive way. Neither Stoke or West Brom have made a sensational start to this season, with both clubs currently stuck in the bottom 6. This fixture can potentially act as a kickstart for either. It can be a story of Stoke showing early shoots of fruition with their re-worked style of football or it will be Pulis lifting the Baggies and getting one over his former club. The transfer rumours involving Berahino will definitely be a hindrance to West Brom, but Rondon has the continental pedigree to fill the void up top. As for Stoke, the star purchase of Shaqiri has been nothing short of sensational and he will be pivotal to their success in the months ahead. On paper, this game is unlikely to be goalless as Stoke have scored at least a goal a game since early August, where as West Brom have conceded at least two goals per game. I think both managers will try and somehow engineer their first league win of the season. It's unlikely to be a goals fest, but I wouldn't be surprised if it finished 2-2 or if Stoke capitalised on their home advantage and nicked a 2-1 win to add further pressure to the Baggies. This week's Stag's knight boiled down to one decision. Do I pick a Man City player or a Bournemouth player? In the end, I've opted for the former in order to include City's game versus Watford at the Etihad. Hence, don't be surprised if you see a Bournemouth player selected next week after they play high flying Leicesterlona. David Silva is an unsung Premier League hero for me. Despite the fact that I'm a Man Utd supporter myself, I can't help but respect him. He is rarely held up as City's star as he doesn't score goals like Aguero, doesn't dominate the whole pitch like an on form and birthday cake receiving Yaya, nor wash his hair like Joe Hart. Of course my love for him has only been enhanced by the serious points hauls he has brought me on FPL over the past few seasons chipping in with a comfortable mix of goals and assists. We're at the point in the season where we can look at previous games and build fairly fortified hypotheses based on the first three games. What's clear from that is that Silva has still got his mojo. In the biggest game of the season so far, Silva made two goals and picked up 11 valuable points versus Chelsea. The Spaniard also grabbed another assist against West Brom on gameweek one. He was indeed credited for Yaya's goal later but FPL rules dictated that he didn't get the FPL points to match. I'll go out on a limb and say he's due another goal in the next 3 gameweeks. I like to back up my hunches with a few stats so here they come. In terms of goal scoring potential, Silva has taken 7 shots so far which translates as 2.3 shots per game*. While this number is quite low, it must be noted that Silva is one of the least wasteful players in the league. He only shoots when he has a real chance of scoring, otherwise he'll offload the ball to a teammate in a better position. That offloading to teammates results in Silva giving a solid 3.3 key passes per game*. He's a precision player, don't be put off by the low numbers. Historically he has converted, back him because I sure have! 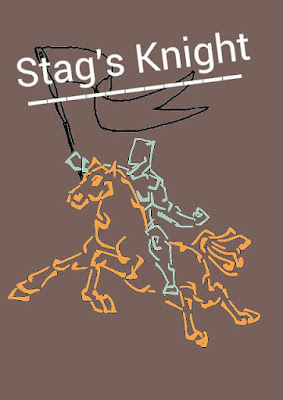 I'll round off this week's article with an update on how Stag's Knights have done to date. Aside from Sadio Mané, all my picks have picked up offensive points. It translates as a 50% goal/assist per game record so far. As you can see, trusting Stag's Knight is a good policy! 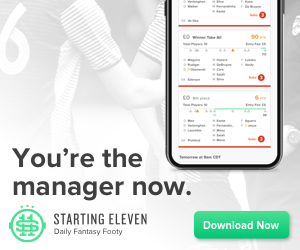 If you would like to get in contact, you can find me on Twitter via @FPLStag. I look forward to hearing from you! most likely be confirmed on FPLH's Twitter account. Another Gameweek chalked off and another green arrow gained... if only I wasn't ranked 1.8 million-ish. GW3 saw me match GW2's score of 44 and had it not been for Cech's superlatives I would be ranked a lot lower. I am fully aware that a large chunk of FPL managers have already used their first wilcard (at least 10%), some have already used at least one chip whereas others have struck it lucky with in-form bandwagon players, such as Mahrez and Kolarov. Me? Well, I'm different. I value patience in FPL. I built my pre-season team to last for a good few weeks (up to October). I trust my team and believe it doesn't need a lot of changes... yet. I was tempted to make a transfer or two before Gameweek 4 but I opted against it. The international break will follow suit and the risk of injuries/fatigue means that I want at least two free transfers at hand. Also, the transfer window is still open! We could expect a few more signings in the next few days, which may affect my in-game transfers. I would rather use what I call a "mini-wildcard" (2 free transfers and a -4 hit) on the eve of Gameweek 5 than making a couple of panic buys at this moment in time. The good players will come good. The cream will rise to the top. 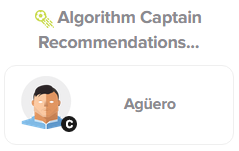 Fantasy Football Fix's algorithm favoured Aguero to do well last week (he was unlucky not to score) and it strongly favours him again; so he retains the armband. Graham managed some game time for Sunderland, but regardless, I will keep him as my dud sub3. Oxford's short term stay in the first XI seems to have come to an end, so I have benched him. Huth takes the sub1 spot as the other defenders have favourable home fixtures. 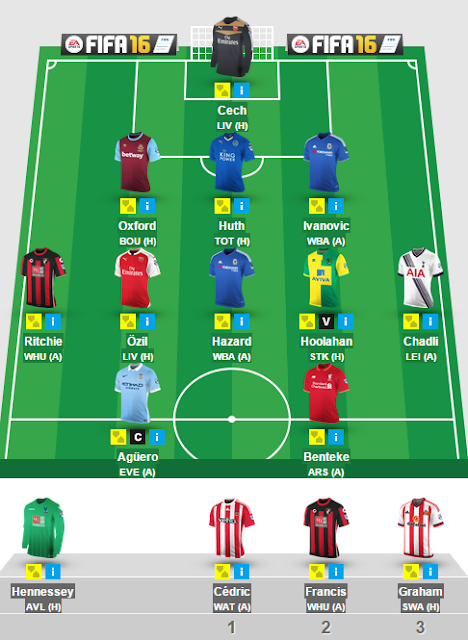 Looking ahead, I may switch Ozil for Sanchez and Pedro for Hazard. But that remains to be seen. With the dust still settling on one of the most vitriolic weeks in FPL memory, I’d like to give you my take on Wildcard-gate. I’d also like to show you my strategy from last week in detail so you can assess whether I made the right decision to walk on the wild side or not. ...WAIT! Stop right there. I have already committed the cardinal sin of suggesting that you all had the same results as me. This was clearly not the case. Some 1.6m of you did better than me and - although hard for me to comprehend given the shower of shambles I had in my team - around 1.7m of you did worse than me. By stating that we all did terribly, I’ve already made misassumptions about your individual situations. “Amateur! Didn’t you have a plan? 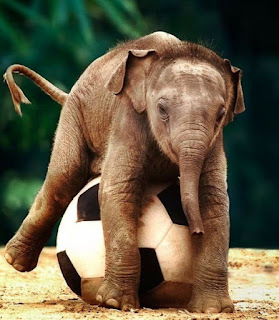 Are you a man or an elephant?”. “What on earth took you so long? I’ve had Mahrez, Gomis and Kolarov in since my WC in GW2. It’s like you’re trying to do badly.”. “I’ve had Mahrez in since GW1. Didn’t you watch the pre-season matches? If you’re not going to play this game properly, you might as well just delete your account and take up stamp collecting instead.”. The seemingly unstoppable form of a handful of low-priced players. This led to accusations of novice or weak-minded managers wrecking their own prospects or, worse still, wrecking the prospects of others. Even though WCs have no effect on price rises, the perception was that those who played them were trashing the price-rise system with their unnecessary panic. The reality was that it was actually the FT activity - brought on by the high ownership of high-priced flops and low ownership of low-priced, high-scoring gems - that was causing the swathe of price changes. It was this frantic activity which caused many, including myself, to push the WC button, in order to cash in on early price rises/falls whilst addressing their increasing points shortfall. So that’s my take on how things got heated and why so many will have played their wildcards last week. Now I’d like to give a bit more perspective on this by taking an in-depth look at my own situation. Cast your minds back to GW2: Depay and Rooney had blanked for me on Friday night; my defenders were all breached during three, horrific first-half minutes on Saturday afternoon, which also saw yet another haul from Leicester’s midfield Poundshopticos, none of whom I owned. It’s fair to say I was pretty miffed at this point. I made a snap decision to use my FT on Saturday night to beat Albrighton’s price rise and to ditch Henderson. This was primarily to free up £2m, as I had nothing spare in the bank and Sanchez and Aguero were due back sooner than expected. Also, I was less certain of Henderson’s *impact in the double-pivot role. OK, so a bit knee-jerk, but I hadn’t completely lost the plot. It’s fair to say I went all out for class over fixtures with my opening lineup; using up all my budget in the knowledge that, if things went pear-shaped, I would probably have to use my WC to reshape things. GW3 was always going to be a tough week anyway with Arsenal and Liverpool playing each other (more so having transferred Gomez in for Huth after GW1). In addition to this, Sunderland and Southampton’s defences were looking shaky and Sakho and Wilson were yet to register (although Sakho had been a bit unlucky not to score at least one and Wilson...who knew?!). So I was left relying on two, reasonably favourable, matches: Man United vs Newcastle and WBA vs Chelsea. But with Hennessey not available to replace Myhill, Hazard a concern, Man U misfiring up front and Chelsea misfiring at the back, things were not looking promising. My players were plummeting in price and those of Leicester, Swansea and City were rocketing and it was time to take action. I pushed the button on Sunday night and immediately drafted in all the predicted price-risers whilst ditching the fallers. Throughout the week, I made several changes, holding on to as many price-risers as possible (not easy with Man City players, given you can only own 3 at a time!) and continued to monitor price fallers. Although I spent a lot of time studying statistics during this time, my transfers we based solely on value at this point. No decisions had been made regarding who to cover, what balance to strike or what formation I would go with. It might seem crazy, but this is how I roll on WC weeks; save the pennies then splash the cash. 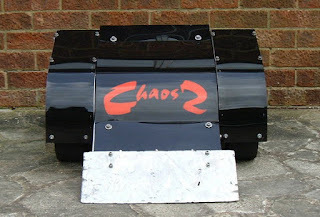 Switch between 3-5-2 and 3-4-3 depending on fixtures. We all know that talk is cheap and points mean prizes, so how did they perform? As you can see, a marked improvement on the first two gameweek scores of 31 and 39. More importantly, I now have a plan to take me into the international break and beyond. 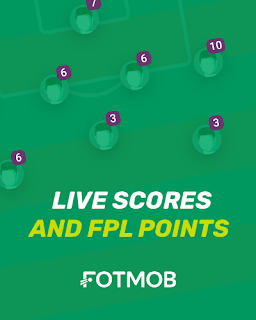 I will try and ignore the Mahrez express this week in order to have 2 FTs going into the break, so I can play a mini-WC (@FPLHints™) before GW 5 if required. Also, I currently have £5.3m in the bank and a squad value of £95.6m. So that’s a net gain of nearly £1m, but more importantly, I can buy any player with a single FT without selling Aguero. 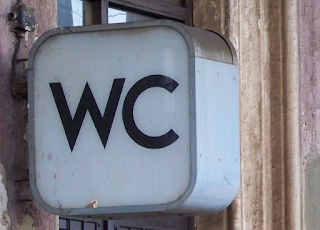 So whether you used your WC or not, the only thing that really matters is whether it was the right decision for you. And don’t let anyone tell you otherwise! I wanted a game that was challenging but easy to understand. In addition, I wanted good on-screen aesthetics, nothing too clunky, a game that was fast to play and most significantly one that received good reviews. After a few misses elsewhere I discovered Football Chairman. 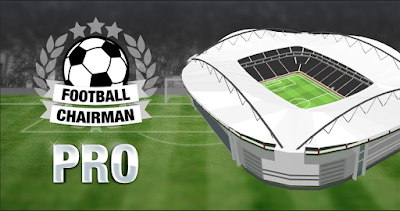 It took the "football management experience" to another level by allowing me to go one step further and run my own club. 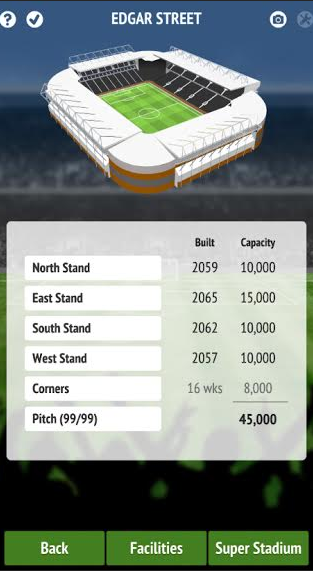 I found this to be somewhat liberating, novel and exciting - It allowed me to build my own stadium, hire/fire managers at will and a number of other things. I set off by managing the mythical "Withington" in the lower echelons of English football. In all honesty, I didn't make a good start due to some failed experiments. But gradually as a I built up my stadium, enhanced player acquisitions and got a half-decent manager in I moved up, league after league. This came in no small part to maxing the set overdrafts and banking on that fact that the club would do well... and it did! Best of all, I could finish an entire season or two in one daily commute! Honestly, time flew buy on those cold November mornings and pitch black evenings. Success fueled my quasi-addiction. Before I knew it I was running a football club that was winning back-to-back top flight titles. Due to my other commitments, I eventually took a break from the game after completing over 150 seasons. Having said that, I re-connected with it over the summer with an already trophy-laden Withington complemented by a stadium size that would make Old Trafford look small! Why not give it a go? Click here for more information. This week I have selected Spurs winger Nacer Chadli as my Stag's Knight. I'll go through my reasoning for choosing him in a second but first I must address the astonishing start of the season. 2015/16 has started off weirdly. There is no better word to describe the opening two gameweeks. People like myself with a passion for FPL who are on Twitter have resembled victims of violent crime. We're looking around looking for explanations, laid out on the floor. Our tears blending with our blood to form red arrows dragging us ever further into the murky depths of the overall ranks. Many of us have set records for our lowest overall rank and even our lowest gameweek ranks ever twice already! To put this in perspective, I never dipped below 2 million in GW rank all last season. This year, I barely dodged it in GW1 before falling below the line for GW2. The last two Stag's Knights, Mané and Lens have so far failed to deliver, mirroring the daft results that have occurred throughout the league. Given time they will come good, these circumstances have so far been exceptional! Stay calm, don't panic, adapt with a wildcard if you must. Just remember that talent will overcome in the end, not luck. Quite a lot about Nacer Chadli mystifies me. For a start, his ownership is incredibly low! Chadli is owned by only 7.3% of FPL managers despite having scored more PL goals since the start of last season than any other midfielder except for Eden Hazard. With that in mind, his price tag of 7.0 is doubly unbelievable. He has more strings to his bow that goals too. Chadli got a solid 6 assists over the course of last season. "We have players like Nacer Chadli, Erik Lamela and now Clinton N’Jie, who can play like a striker." Hence the possibility of Chadli edging further forward when Spurs are chasing goals is high. In terms of fixtures, I've decided to try and adapt to this odd new season where away teams seem to prevail. Chadli will face Leicester away, Everton at home and then Sunderland away while Stag's Knight. Leicester and City have both played very well so far stealing more points than would have been initially expected, however, Leicester failed to keep clean sheets against Sunderland and West Ham so it would be a shock if Spurs fail to penetrate them. I fancy Tottenham to overcome Everton at White Hart Lane and then crush Advocaat's disturbingly poor Black Cats. In midfield, Chadli has the supremely talented Christian Eriksen feeding him shooting opportunities and he has last season's deadly surprise package Harry Kane in front of him to get assists. Without injuries, I can't see how Chadli won't succeed for you and me as this week's Stag's Knight. Thanks very much for reading. If you have any questions, want advice or just feel like screaming at a poor, unfortunate wannabe FPL genius, hit me up on Twitter @FPLStag. GW2 was another low scoring Gameweek and led to a slight improvement in my team's overall performance. After 8 impatient days of waiting, Chadli scored the first goal of the season for my team on Saturday afternoon. Ozil's unexpected points on Sunday were a bonus. Alas, I have yet to secure a clean sheet; ironically I had more defensive points on the bench (4) than I did on the pitch (2)! Ultimately, it was Benteke, my "MNF Captain" who secured green arrows all across the board. Aguero's goal and City's thrashing of Chelsea was sufficient for me to buy the Argentine. Furthermore, I am happy to captain him against Everton at Goodison Park; that's how much confidence I have in his projected capability. It made sense to sell Rooney due to his poor form. Yes, he has a good record against NUFC which is why I didn't want to sell him on a whim, but do note that he also had a good career strike rate over Villa and that didn't bode well for him on Friday night! My second transfer may come as a surprise for many - "Wessi" Hoolahan - but it makes so much sense on many different levels. 3 assists in the first 2 games, playing behind the striker, involvement in set pieces, good run of upcoming games, a steal at £5.0M and most significantly he had less than 1% ownership when I bought him which makes him a SUPER DIFFERENTIAL. Acquiring him has allowed me to also free up funds, i.e. 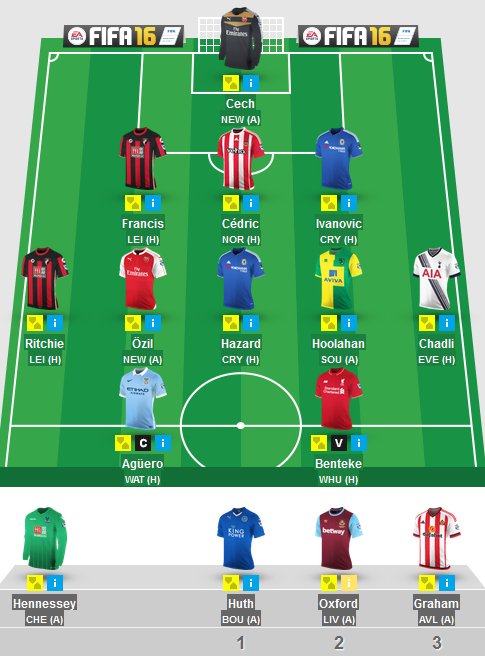 in the event that I want to sell Ozil for Sanchez, I can now do that for a -4 in Gameweek 4 or via 2 FTs in Gameweek 5. 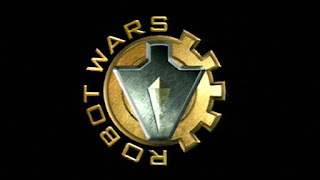 Cast your mind back to the first time you saw Philippa Forrester (yes I am that old) on Robot Wars. Jeremy Clarkson (yes he did host it before Craig Charles) hands over to Philippa in the engineering hangar. She does her piece to camera before turning to three hapless individuals and confronting them with an oversized microphone. The first few questions are a blur, but gradually they begin to gather their composure enough to reel off a series of facts about their pride and joy: the top speed; the enviable turning circle; the witty name; the tried and tested weapons. They tell her how they have prepared all summer for this - studied their opponents, generated algorithms, plotted graphs and how they then ignored all the data and just stuck the biggest axe they could afford on the front. Philippa remains calm throughout. She nods and smiles, but deep down she realises this robot is doomed! Finally, after what seems like an eternity, the first battle begins. Almost immediately it becomes apparent that something is wrong. Very wrong. It’s a bloodbath out there. None of their pre-match data is coming into play. The opponents have a weapon that they haven’t even heard of before - some fancy foreign sounding name, possibly originating from North Africa. It seemed innocuous enough, but before they know what’s hit them, it fires two lethal shots and the contest is all but over. They just about manage a couple of minor, retaliatory blows before it’s time for the over-exuberant Jonathan Pierce to talk everyone through what we have just witnessed. Blow, by painful blow. Wearily, the combatants trudge back to the hangar to take part in the obligatory post-mortem, but there’s no time to feel sorry for themselves; the next match is about to begin. They make some drastic, unplanned changes that fly completely in the face of their original blueprint, but then forget to attach them properly because the battle starts before they expected. To their horror, the second battle is a carbon copy of the first: the same weapons, the same moves, the same outcome. How could this be happening...AGAIN? Virtually all of their elite weapons misfire and those that don’t manage just a single blow, but nothing like the carnage we have come to associate with them. With Clarkson’s smug, oversized face looming over them, they must somehow shine a positive light on a second, dismal failure. 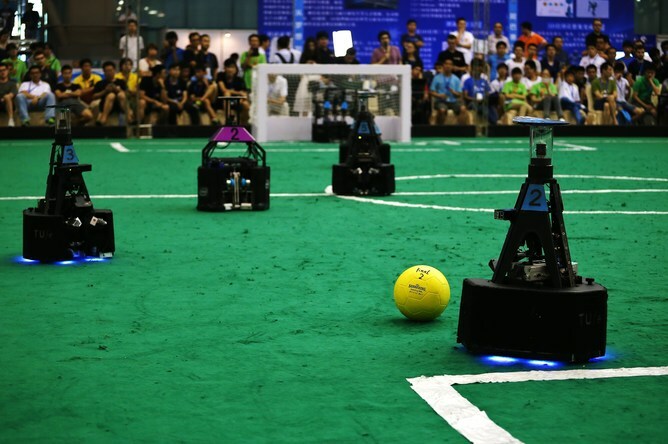 These experienced roboteers are being made to look like amateurs and they begin to look searchingly at one another. Sorrow turns to anger. Anger turns to despair. Despair has no-one to turn to and runs out of the room screaming. "If we’re going down, we’re going down fighting", one of them splutters eventually. Is Reece Oxford the new Rio Ferdinand?